James picked up his iPad, only for him to find out it has been disabled by his curious kids who have entered the password too often. In this case, the iOS assumed someone was trying to break into his device and disabled it. The problem with a completely disabled device is that you can no longer enter the password, even if you suddenly remember it. You will have to use iTunes fixing it or look for an alternative to unlocking the iPad. 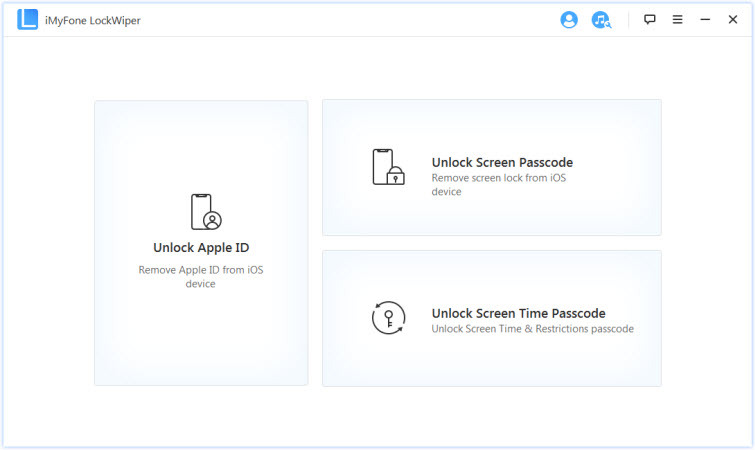 The easiest way to unlock iPad/iPhone without passcode or iTunes is to take advantage of an iOS lock removal tool - iMyFone LockWiper. It’s specifically developed to unlock iPad/iPhone from various locks like iCloud lock and screen lock. With it, you can unlock your device without passcode just in a few clicks. Quickly unlock iPhone/iPad from any lock without passcode or iTunes. Instantly remove iCloud account and Apple ID from activated iPad/iPhone without password, by which you can switch to a different account. Support to remove locked or disabled screen, or remove any kind of passcodes from iPhone whose screen is broken. Promise high success rate and fast speed to complete. After unlocking, you can set up your device with a new lock. 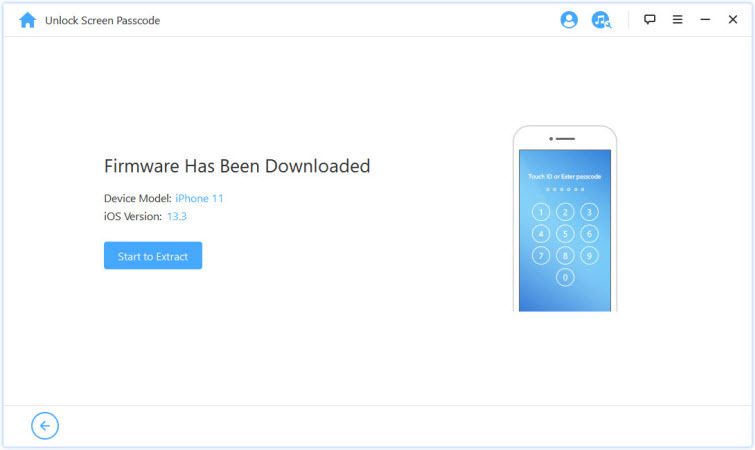 iMyFone LockWiper free trial allows you to check whether it will be working for your device. Why not download to confirm. Step 1: Once you install iMyFone LockWiper, open it. Choose “Unlock Screen Passcode” from the home interface. Step 2: Connect your device to computer and let it start. 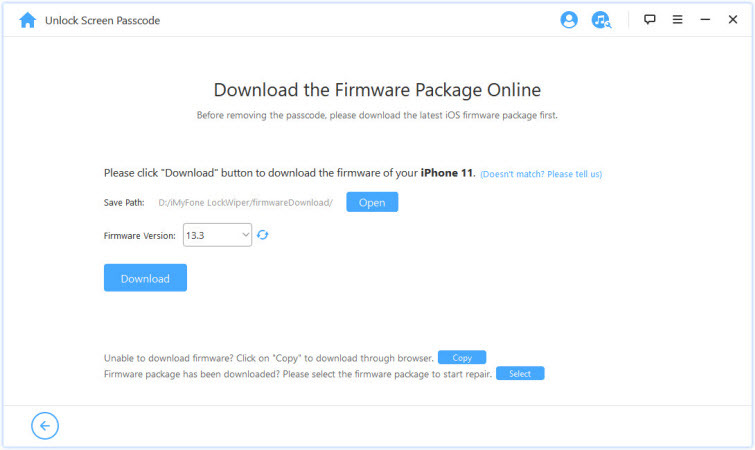 Your device will be automatically recognized, click “Download” to get a specific firmware for your device. Step 3: Click “Start to Extract” and it will unzip the downloaded file. 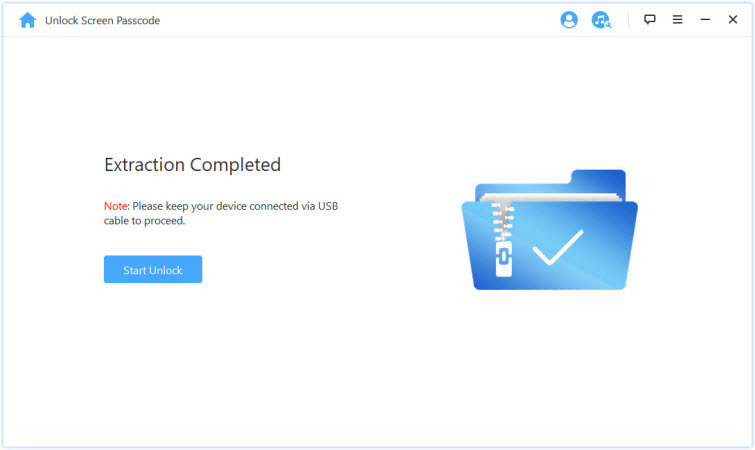 Step 4: Keep your device connected and confirm to unlock. Just enter “000000” into the box and click “Unlock” to start. Please wait a moment, your iPhone will be unlocked from the screen lock. You can access your device without passcode. 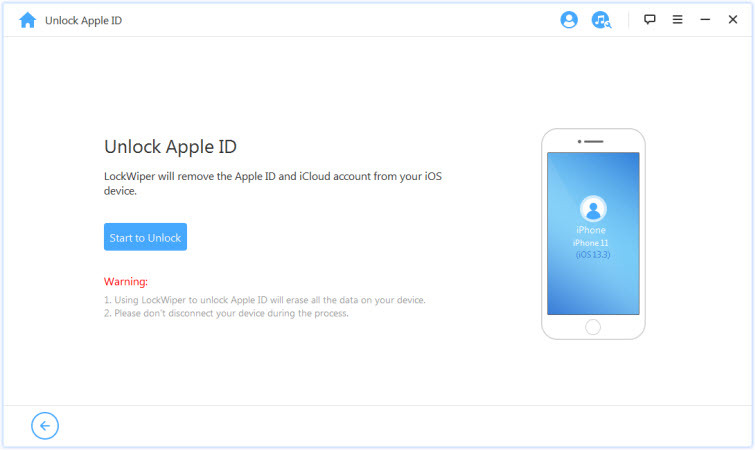 Step 1: Open LockWiper and choose “Unlock Apple ID”. Then connect your device and trust the connection. Step 2: Click “Start to Unlock” to continue. 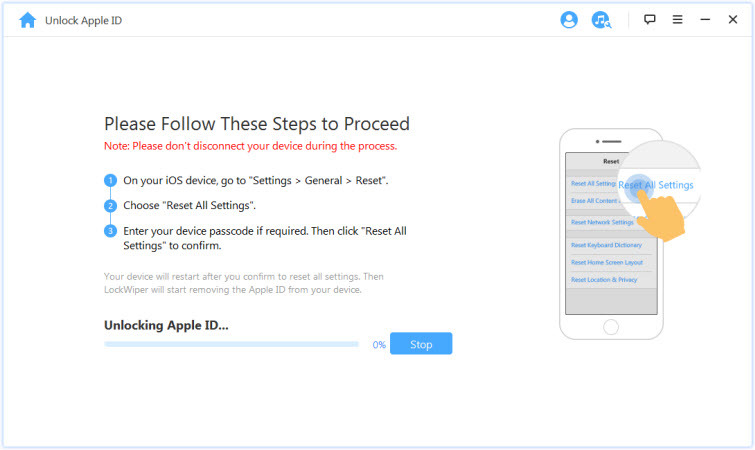 Step 3: Follow the steps to reset all settings on your iPhone/iPad. When iPhone restarts, LockWiper starts unlocking. Then whole process will take less than 5 minutes. Please kindly wait for it. When your iPad/iPhone has “Find My iPhone” enabled and you know the iCloud account and password, you can unlock your iPad/iPhone remotely. Step 1: On a web browser on your computer or on other device, go to icloud.com. Step 2: Log in with your iCloud account and password. Step 3: Select “Find iPhone” app there. Step 4: Click “All Devices” at the top and select your locked iPad or iPhone. Step 5: Click “Erase iPhone” from the window and confirm it. Your iPhone will be unlocked when it connects to internet. Note: This way only works to unlock iPhone screen but not unlock iPhone from iCloud account. The loophole of Siri allows you to access your iPad/iPhone without passcode. But it only works for some old iOS version. There is no one can ensure this way will take effect for which iOS version. The certain thing is that it won’t work for iOS 11 and iOS 12. If you don’t mind, you can have a try. Step 1: Press down the Home button on your iPad to prompt Siri. Request what the time is from Siri using a command like "Hey Siri, what is the time, and then click on the clock icon. Step 2: Type in anything on the search box and click "Select All." Step 3: From the provided options, click on the "Share" button. Step 4: A display comes up with various sharing options; choose the message icon to continue. Step 5: On the next display, type in your message. Write something in the "To" field of the design then click the Back button. Step 6: This highlights your text. Select and tap Add option. Step 7: Tap the Create New Contact button to create a new contact. Step 8: On the next display tap the photo icon, click "Select photo." Step 9: Choose an album, when your photo gallery displays. Step 10: Press the Home button from there, and everything goes back to normal. Note: This way doesn’t remove the screen lock from your iPhone/iPad, it just helps you to get into the device. That means, you need to follow the steps every time you want to access your device. Step 1: Launch the iTunes that you synced iPad/iPhone with. Connect your device to your computer. 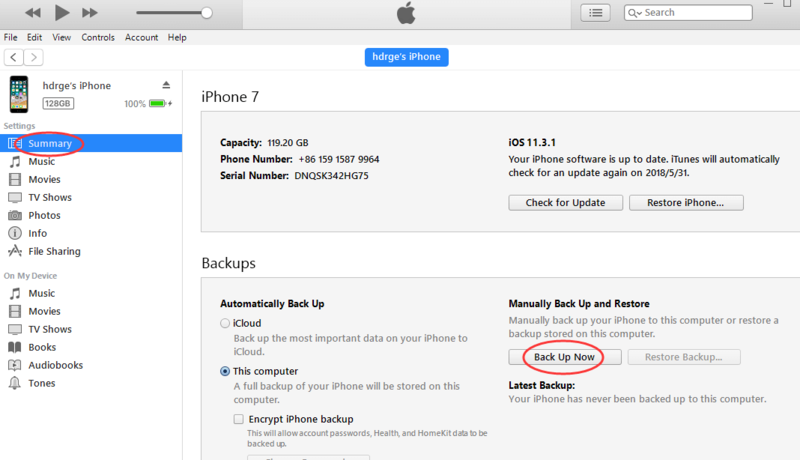 Step 2: iTunes will automatically sync and back up your device. Step 3: If not, you can click the device tab at the top left corner on iTunes. Then click “Back Up Now” and it will start backing up your device. That’s it, just wait for it to finish and you can unlock your device without any worries. Your iPad or iPhone has a relatively stable security system to help you keep your device safe. There are cases where forgetting your passcode is such a problem. It is good to know you have iMyFone LockWiper to your rescue.